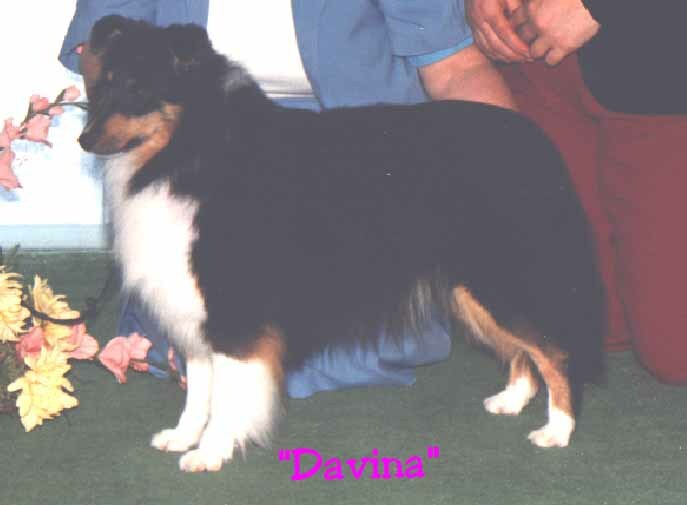 Davina earned Specialty points, was a High in Class winner, a High Aggregate Sheltie winner, and in between raised 17 pups. A little, moderate dog, who moved like a dream, Davina proved to be a wonderful foundation for Liska. My eternal gratitude to the late Mrs. Hazel Slaughter (Meridian Perm. Reg'd. 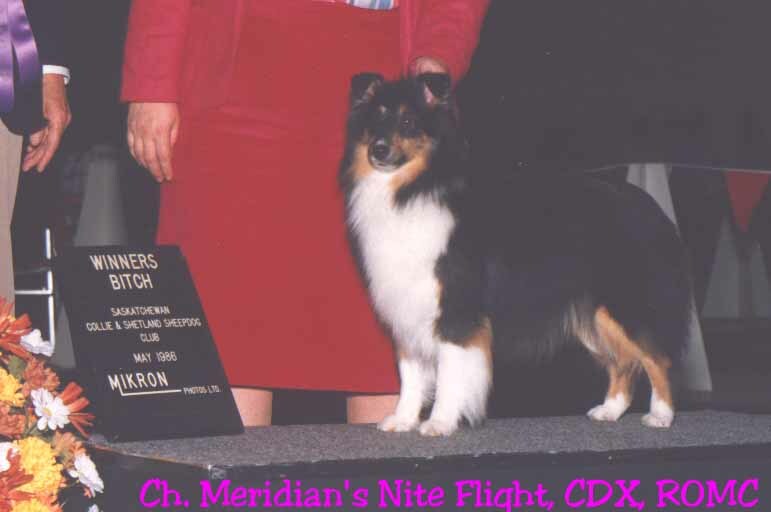 Shelties) for entrusting me with this girl, and to the late Beth Mead (Corrieglen Perm. Reg'd. Collies) for being my source of inspiration and moral support - both these ladies were responsible for my "upbringing" as a Sheltie person and as a Breeder, and I will be forever in their debt. Liska's foundation continues through Davina's son, BISS Ch. Liska the Wayfarer, and his daughter, Ch. Liska Celebrity, ROMC.